I have to credit Maureen by introducing to Asam Tree Cafe, Bakery and Restaurant at Ang Mo Kio Ave 6. The Halal certified eatery is just located beside the NTUC Fairprice. I was actually quite amazed by the number of dishes the humble eatery can offer in their little space. Seating area are quite limited and close to one another. It can be a bit uncomfortable but it did not deter people away with a constant stream of crowd around the clock. Noticing their popularity, we approached the eatery to take part in this year's Ultimate Hawker Fest 2014. We were very glad that the owner agreed to participate in this year's fund raising event. Asam Tree Cafe Bakery and Restaurant will be cooking one of their popular item, Longtong ($3.50) at the ulitmate hawker fest. 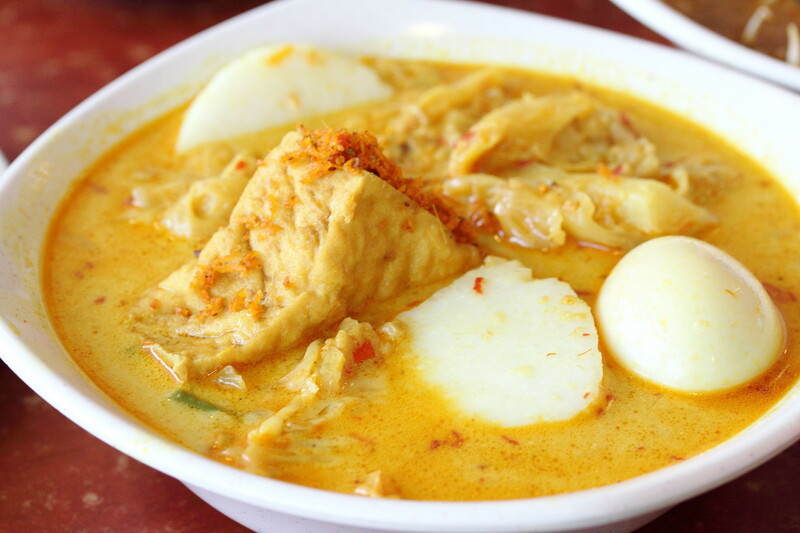 The value for money bowl of Longtong comes with steamed rice cake that has a hint of pandan fragrant and moist, a piece of huge fried tofu, cabbage and a whole egg. The curry gravy was quite rich but not too lemak. I was so good that I was actually drinking it like a soup dish. 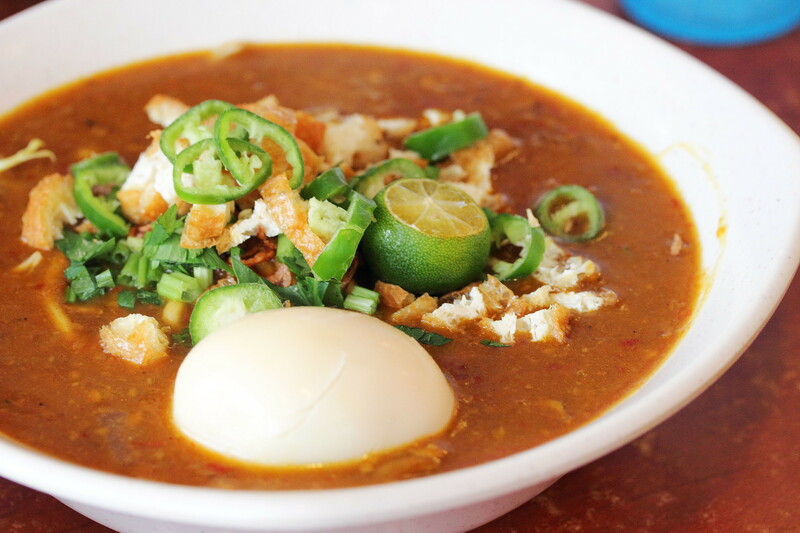 The owner shared with us that the Mee Soto ($3.50) is their top seller. 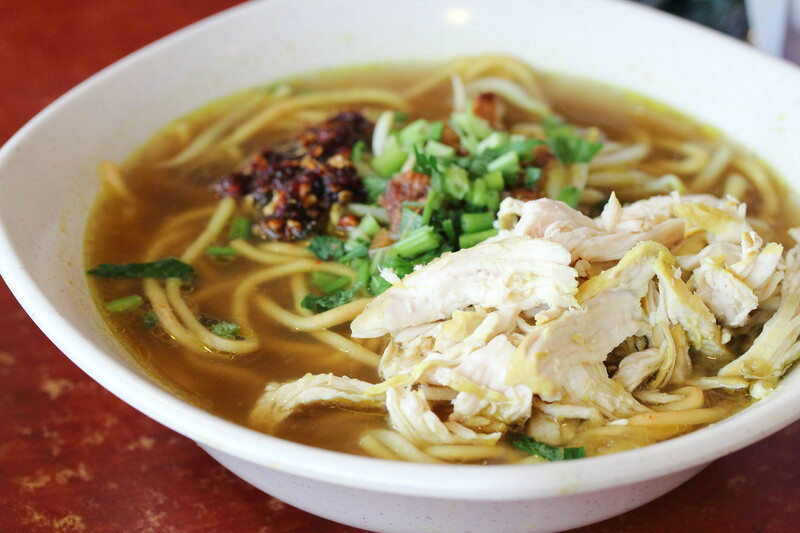 The sweet chicken broth goes well with the yellow noodle. However I suspect why this is the top seller has to be the chilli. Stirred and mixed it well with the chicken broth and the whole dimension of the noodle dish is brought to a new level of enjoyment. 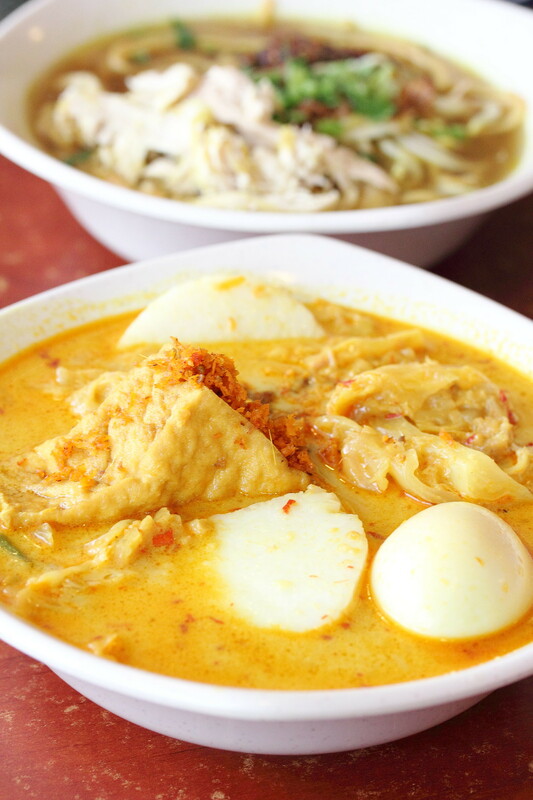 Asam Tree Cafe, Bakery and Restaurant also offers two other noodle dishes on the menu, Mee Siam ($3.50) and Mee Rebus ($3.50). These are really value for money with their huge servicing accompanied by the rich and delicious gravy. 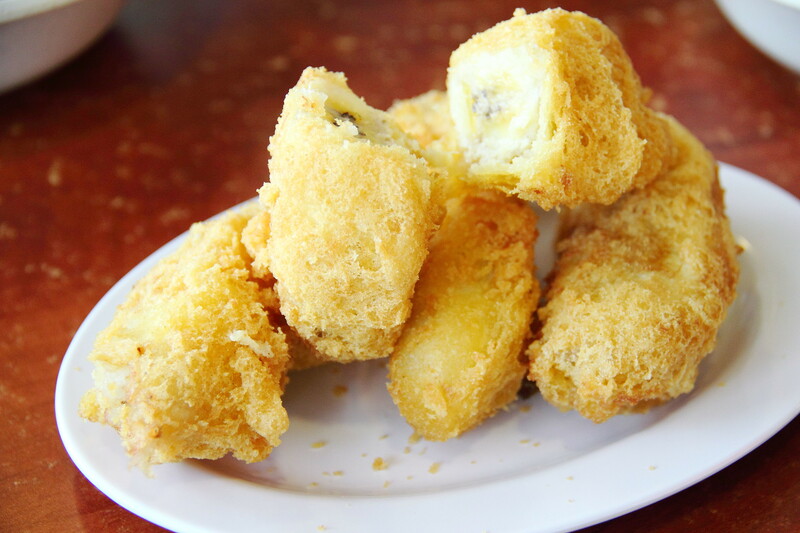 If you not into something that is too filling and just a bite, the Goreng Pisang could be a choice for you. I like the light batter crispy coated around the fried banana fritter but I do not like the type of banana used. I prefer those that is sweeter. The Rojak is a must try here in my opinion. 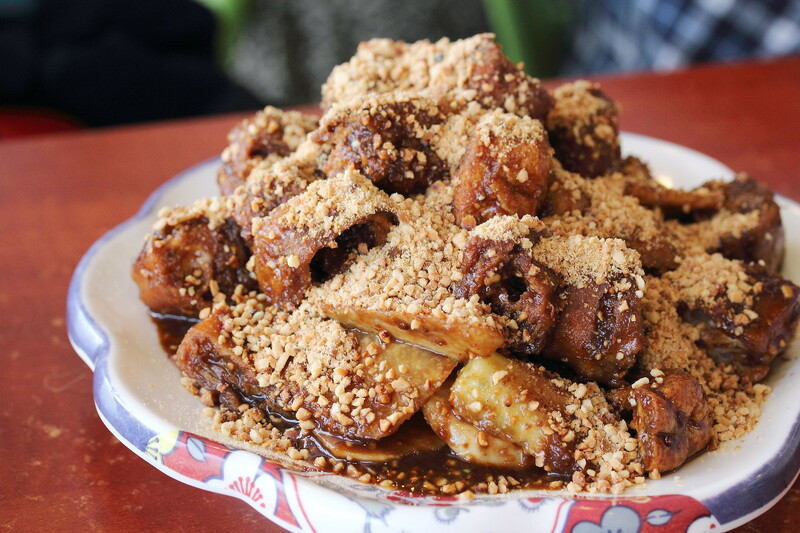 The crispy youtiao was tossed in a homemade belachan and topped with peanuts. The thick gooey prawn paste which came with a spicy kick was really addictive. 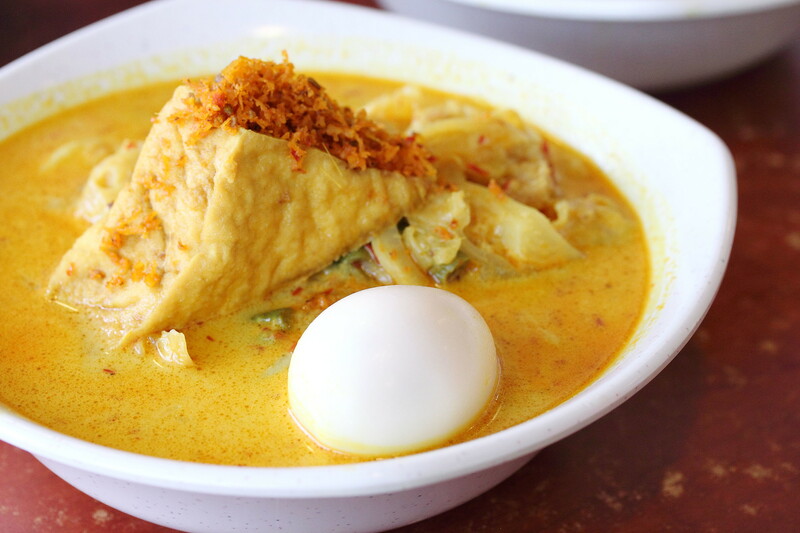 We are glad to have Asam Tree Cafe, Bakery and Restaurant taking part in this year's Ultimate Hawker Fest selling their Longtong at the fund raising event. 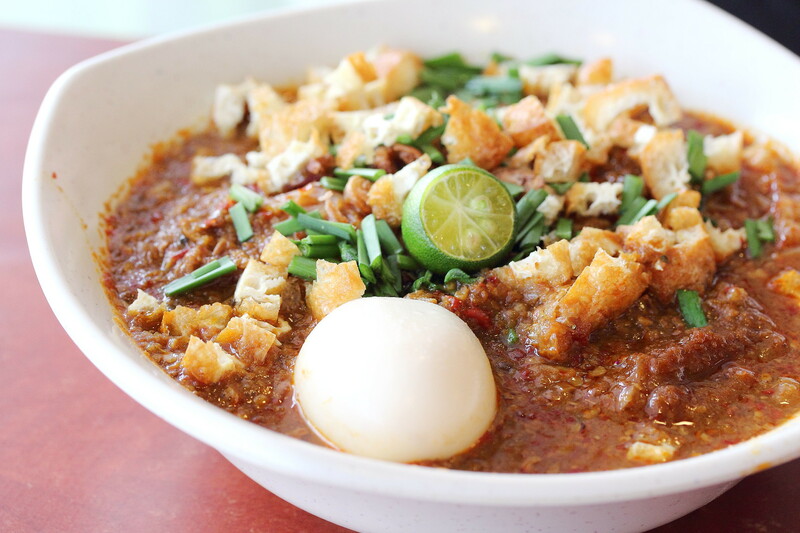 Asam Tree Cafe, Bakery and Restaurant is just one of the Halal certified stalls taking part in this year Ultimate Hawker Fest. Other Halal certified stalls are Prata Place, TenderFresh. Food Glossary and Old Bibik is awaiting for the Halal certificates.